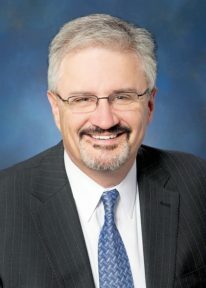 As you have probably heard by now, Jon Beatty, who has been president and CEO of Flight Safety Foundation since April 2014, is leaving the Foundation at the end of this month. Jon’s final President’s Message appears in this issue. Succeeding Jon is Dr. Hassan Shahidi, who joined the Foundation in mid-January from The MITRE Corporation, where he was director of aviation safety and new entrant integration. Hassan’s first President’s Message will appear in the next issue of AeroSafety World. Everyone at the Foundation, and its supporters across the industry, owe a debt of gratitude to Jon. He arrived during a particularly turbulent time in the Foundation’s seven-decade history, and he guided the Foundation back to smooth air. Membership numbers and revenues are up; our events are well-attended, well-organized and profitable; we’ve successfully carried out important safety projects (and have more on the way); we launched a new website; and we even moved to a nicer suite of offices. Of course, Jon didn’t do all this on his own, but with the help of the Board of Governors and the Foundation’s advisory committees, he put the staff in a position to succeed and then worked alongside us while we did. I am going to miss Jon, who was a great boss, other than his affection for certain Boston-area professional sports teams. At the same time, I’m looking forward to working with Hassan, who has been a friend and supporter of the Foundation for some time. He has more than 35 years in aviation, the majority of it at MITRE, where he has worked on applying systems engineering and data analytics to advance air traffic management systems in the United States and around the world. He led a number of air traffic modernization initiatives, including performance-based navigation, airspace design analytics, traffic flow management and terminal automation concepts, and he was instrumental in the launch of the widely respected Aviation Safety Information Analysis and Sharing (ASIAS) program in 2007. Hassan holds a doctor of science degree in engineering management and master’s degrees in systems engineering and economics. So, to Jon, we say thanks for everything you have done for the Foundation and to advance the cause of aviation safety. And to Hassan, welcome aboard.